Tranform into your favorite Sesame Street character in this Abby Cadabby Deluxe costume featuring purple and blue dress with detachable padded pink wings, matching headband and wand.SESAME STREET - Abby Cadabby Deluxe.Age Category - Preschoolers /Girls.Brand - Abby CadabbyCharacter/Theme - Fairy.Product Includes - Dress with detachable padded wings, matching headband and wand.Available Size: Toddler (3T-4T), Toddler (4-6). *Shoes Not Included.Content - Dress: Body: 100% Polyester; Overlay / Decoration: 100% Nylon.Product Care - Hand Wash Cold Separately, Do Not Bleach, Line Dry, Cool Iron if Necessary, Do Not Dry Clean.TM and © 2009 Sesame Workshop. TM/© 2009 Sesame. 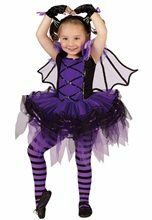 Bat-Arina Tutu Toddler/Child Costume.Includes: Dress with tutu skirt, wings, headband and glovelets.Available Size: Toddler - Small (2T), Toddler - Large (3T-4T). (See Size Chart For More Information)*Stockings and Shoes Not Included.Material Content: Dress & Gloveletts - 100% Polyester.Care Instructions: Hand wash separately in cold water. Line dry only. Use only non-chlorine bleach when needed. 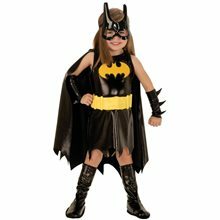 Do NOT iron.This adorable Batarina costume is sure to make any toddler the cutest one around. 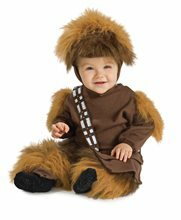 This is a fun and exciting costume for any toddler. 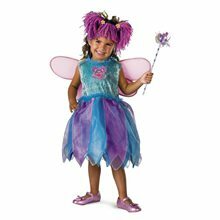 This costume includes dress with tutu skirt, wings, headband and glovelets. Stockings and shoes are NOT included. Cute Lady Bug Toddler Costume.Includes: Ladybug tutu dress, wings and antenna headband.Available Size: Toddler - Small (24 Months - 2T), Toddler - Large (3T-4T). (See Size Chart For More Information)*Leggings and Shoes Not Included.Cute Lady Bug Toddler Costume,Your little one will be adorable as everybody's favorite little bug...the Lady Bug. Our Deluxe Cute Lady Bug Costume features a ladybug tutu dress, wings, footless tights, sleevelets, and antenna headband. 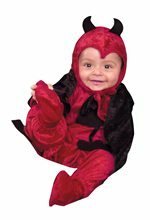 Darling Devil Panne Infant.Includes: Jumpsuit with Matching Hood & Cape.Available Size: Infant (6-18 Months).Material: 100% Polyester.Measurements: (Inseam=9 1/2") (Length=24") (Width=12").Your little angel will look sinfully cute in our Devil Darling Panne Costume! This costume consists of a two-toned panne jumpsuit with attached cape, heart tipped tail and foam dual horned hood. 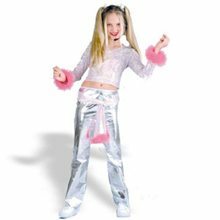 Darling Devil Panne Toddler.Includes: Jumpsuit with matching hood and attached fabric horns.Available Size: Toddler (2-4). *Booties & Socks Not Included. Material: 100% Polyester.Care Instructions: Hand Wash.*Please Note: Horns are just a piece of fabric and may require some assistance to stand up as shown.Turn your little one into a little devil in this lush, velvety-soft, crimson jumpsuit with tail and cape comes with matching hood with attached fabric horns. 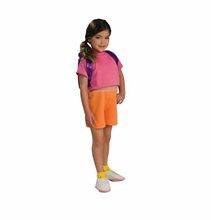 Dora Toddler Costume; Shirt, shorts, shoe covers and backpack makes you look just like Dora the Explorer! Toddler fits toddler's size 2-4.